Welcome to Troop 22! 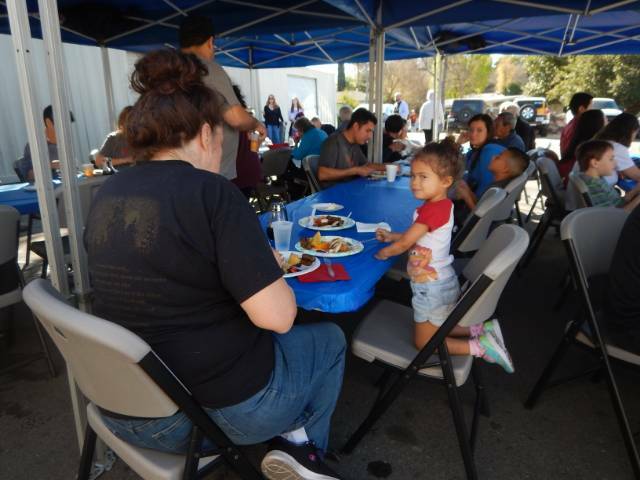 We are chartered by Prince of Peace Episcopal Church and have been serving Woodland Hills and surrounding communities for 25 years. The aim of the Scouting program is to develop youth with character, skills and fitness. 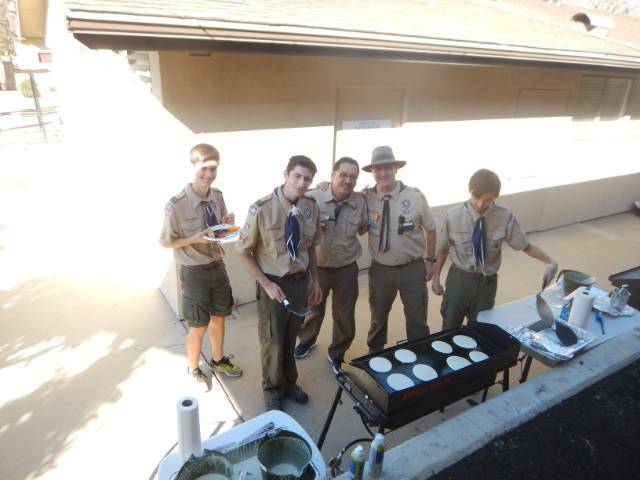 Our Troop accomplishes this through fun activities like hiking, camping and community service projects. We have fun...with purpose! During our tenure we have helped over 80 boys become Eagle Scouts. Please contact us to arrange to visit one of our meetings. There's always room for one more in Troop 22! 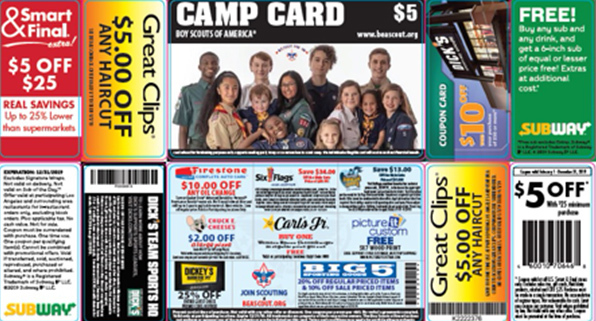 One of the most exciting Unit fundraising opportunities is here again: Camp Cards! Camp Cards will be sold at the Pancake Breakfast Sunday March 31 at POP. 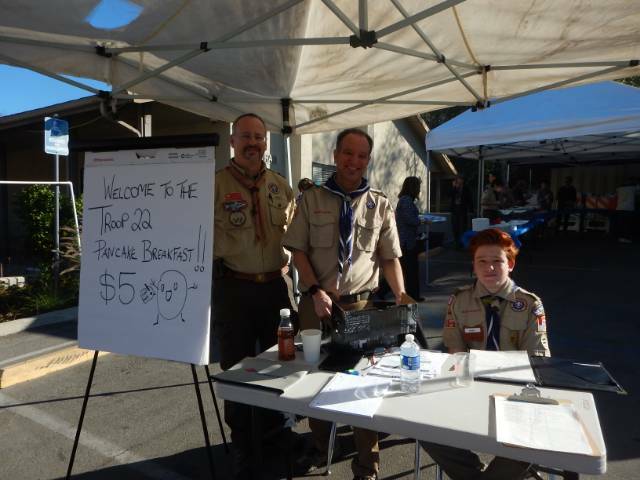 Those profits will be divided among all scouts working at the breakfast. Attached are the minutes from the February 21, 2019 meeting. Volunteers are still needed for some positions including: Hospitality Coordinator, Adult Training Coordinator, Medical Forms Coordinator. Please contact Committee Chair Jennifer Jones if you can chip in. 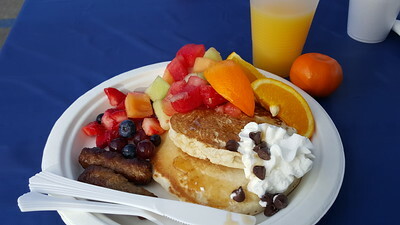 The Pancake Breakfast will take place next Sunday March 31 at POP. We are in need of supplies!!! Please click here to sign up to donate supplies. (Bring those supplies to Monday's meeting 3/25) Or donate funds here to purchase supplies. Bring unsold tickets and money from sold tickets to Monday's meeting 3/25. After more than 5 years of amazing service as our webmaster, Quynh Nguyen has handed over the reins. 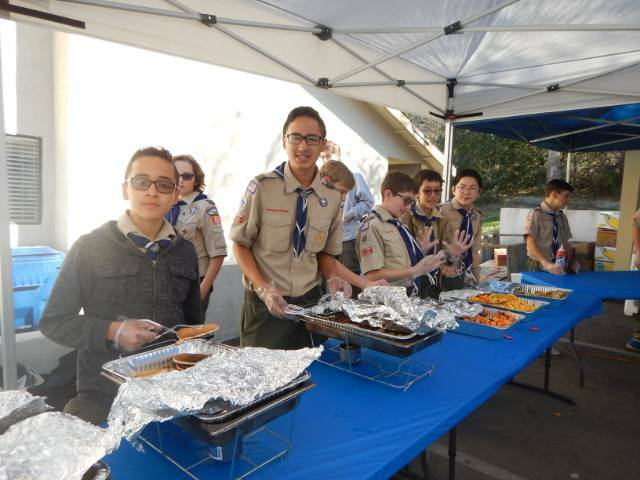 Please join the Parent Committee in thanking Quynh for her tireless dedication to Troop 22! Some of our Parent Committee positions are in the process of transitioning to newer volunteers. Please thank those who have served and welcome those who are taking on new responsibilities. Volunteers are still needed for some positions including: Hospitality Coordinator, Adult Training Coordinator, Medical Forms Coordinator. Please contact Committee Chair Jennifer Jones if you can chip in. Congratulations Sharky Lal, Troop 22's newest Eagle Scout! 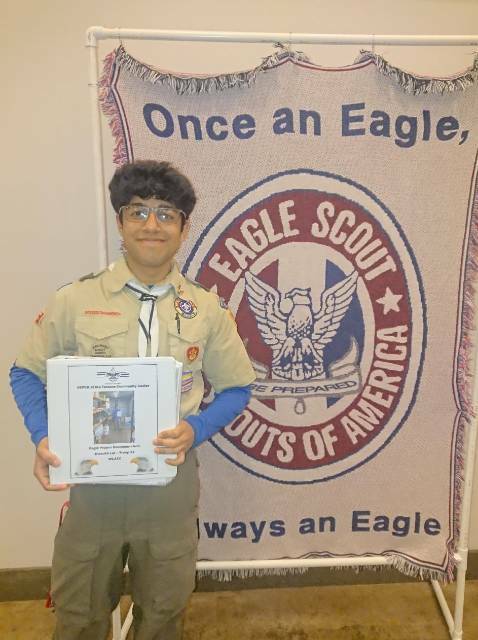 Join us in congratulating Sharky Lal, our newest Eagle Scout, Troop 22's ninetieth! Troop Meeting - Troop Elections!